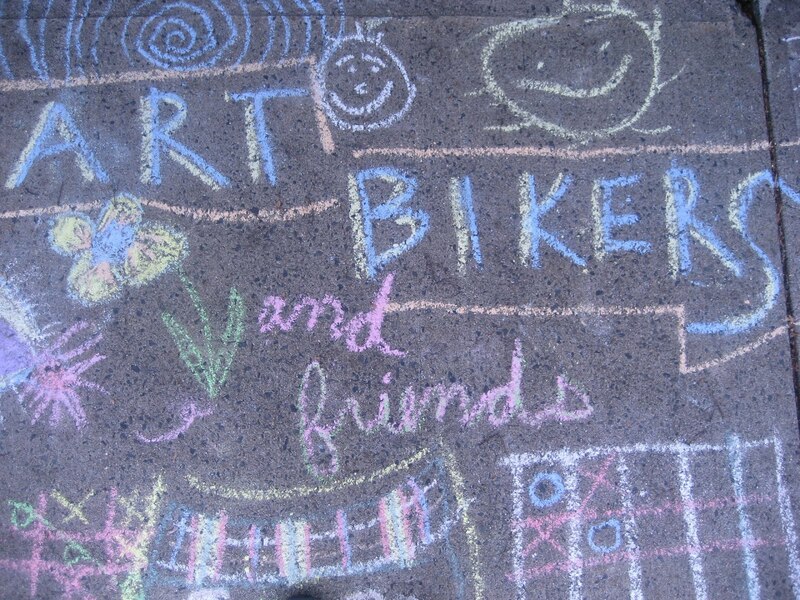 On June 23rd the Art Bikers had the pleasure of joining members of the North End Community Garden for their opening BBQ. 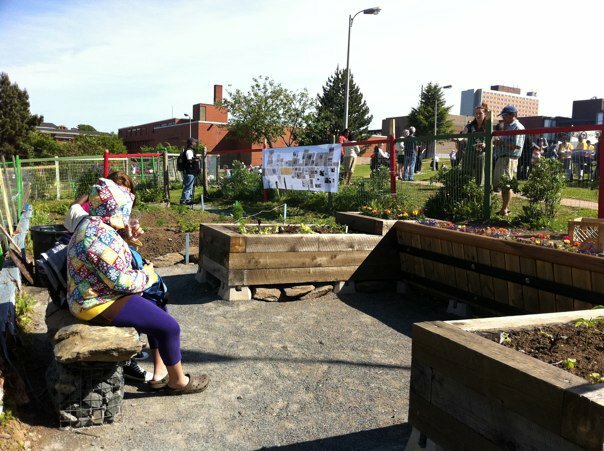 We were asked to help facilitate a "naming the garden" process. 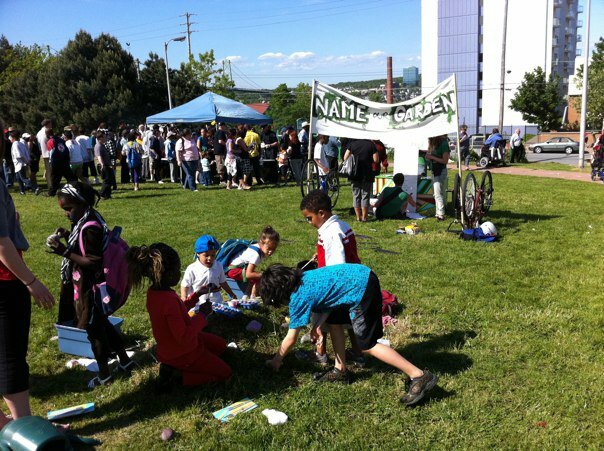 This was a great way for us to meet and build new relationships with the North End Walkers, kids involved with St. George's YouthNet and other members of this vibrant community. 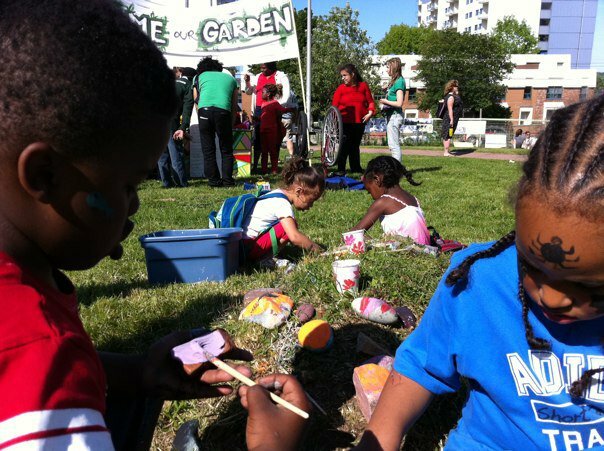 We hope to do creative art-making work with the North End Community Garden members and the Walkers this summer, so this was a great way to begin to build those connections! 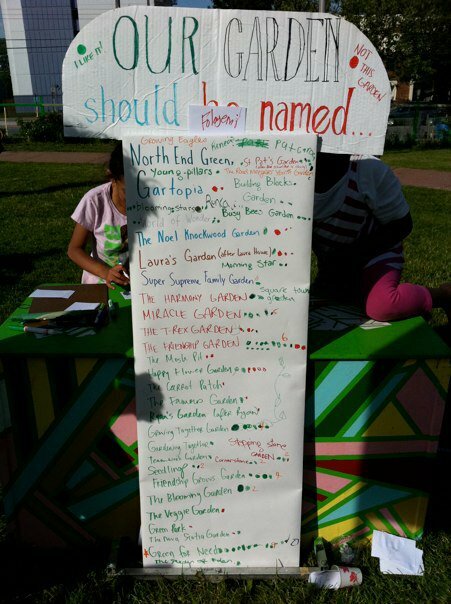 The final five name suggestions were given to the Garden Trustees, who will make the final decision. 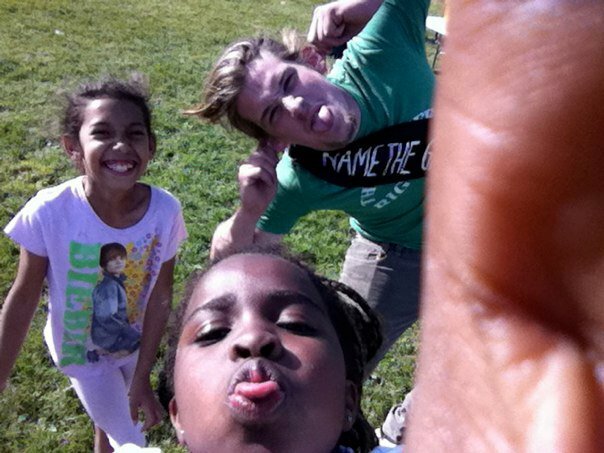 We would like to say thanks for inviting us - we had a super fun time and made lots of new friends!